If you do not know what is a cover letter and looking for cover letter samples then you’ve come to the right place. You can easily download PDF file for sample cover letter from here. If you have nothing in your mind about how to write a proper Cover letter, don’t worry, I am going to provide all the information you need to know about writing a cover letter. And we will also provide you the best cover letter samples so that you can write your own killer cover letter to get a job. You are also welcome to check online cover letter mistakes. If you need more freelancing sites, here you can check Best Upwork Alternatives. So, without taking more time for the introduction, let’s jump into action! OK, let’s get this straight. You’re going to write a cover letter to impress your potential client so that you can get the job. Maybe this letter is the only chance to ensure your success. But how can you write a killer cover letter if you don’t even know what a Cover Letter really is? So, read everything carefully. A Cover Letter is actually nothing but a document which is sent with your resume to provide additional information on your skills and experience. In simple words, it works like a seasoning over your dish. The letter provides detailed information on why you are qualified for the job or it may provide detailed information about why you are applying for this particular job. Many experts think of their cover letter as a sales pitch that will market their credentials and help them to reach out for the interview. More likely, they want to make sure that cover letter makes the best impression on the person who is reviewing it so that they can easily get a call for the interview. Though Cover Letters have broader purposes, but it’s main purpose is to make your client understand that you are the guy he’s looking for and you should get a chance to prove your excellence. Now that you know what is a Cover Letter, you might ask, “Why should I write one?” Read the next paragraph and you will get your answer. This is a common question I hear almost everyday because most the people do not understand the importance of a unique cover letter. Our common perception is, as a cover letter typically accompanies each resume you send out, so maybe writing a cover letter is nothing but a courtesy or formality, right? No! That’s a completely mistaken perception. Please pay attention while writing your cover letter as the employers use cover letters as a way to screen applicants for available jobs and to determine which candidates they would like to interview. That’s why most of the employers require a cover letter which you’ll find listed in the job posting. But even if there’s no mention of it, you may want to include one anyway as you understand now how much important it is. A cover letter, most of times is your earliest or the only written contact with a potential employer which plays an important roll to create a critical first impression. An effective cover letter explains the reasons for your interest in the specific organization and it also identifies your most relevant skills or experiences which determines your efficiency, quality and capability for finishing the job. So, if you still think that writing a cover letter is nothing but a formality, think again. As I’ve mentioned earlier, though a cover letter has broader purposes, it’s main purpose is to get your client’s attention. Now, If you ask someone why he needs to write a cover letter, he will simply answer that he needs to write one so that he can get a job. And your chances of getting a job definitely increases if you are in good attention of your probable boss. Many of you may not know this but the truth is, your cover letter may make the difference between obtaining a job interview or it may result in having your resume ignored. So it gives you a pretty good reason to devote the necessary time and effort to write your own effective cover letter for any particular job posting. But for doing so, you’ll need to understand the differences between various types of cover letters. So read our next paragraph as it will lead you to different types of Cover Letters. The application letter is a particular type of Cover Letter which responds to a known job opening such as Data Entry, Social Media Marketing, 3D Modeling, Architectural Designing, Article Writing etc. Basically, you will have to write an application letter when you are applying for a job that has been posted by a company that’s hiring workers. This company could be an online based company from Dhaka or it may also be a famous company from New York, your client may belong from anywhere! You will find this kind of job posting on Upwork, Freelancer, Behance, People per hour, Toptal, Guru, Smashing Magazine, Fiverr and any other freelancing marketplaces or you may have to write one for company, organization, project, advertisement etc. related job posting. In a word, the use of application letters are huge and widespread. Here’s a sample cover letter of Application Letter category. I hope it will help you to understand it’s format. Recently I studied all the details given in your job posting which was posted on ( Write down the name of the Freelancing Platform). From your job description, I came to understand that you need an expert 3D artist for your project. I would be highly happy to declare my candidacy for this post. As you already know that Technical aptitude, sharp artistic talent, and productive team collaboration are all essential elements to be succeeded in 3D production and design. I am a highly skilled professional with more than seven years of experience developing and executing a wide variety of successful 3D design projects. Because of my reputed position in these work field, I am more than sure that I would be able to make a significant impact on your team as your next 3D Artist. I would be happy to let you know that my background includes designing and delivering creative projects and also it includes services from concept through completion. I have a solid proficiency in using both computer software and hand-drawing techniques to render flawless 3D special effects. Along with my ability to collaborate effectively with clients, peers, and senior management teams, I can assure you that my talents and abilities will significantly benefit you in this particular project of yours. I think I am the best applicant for this job as I have keen ability to evolve and complete 3D design projects. My abilities combined with my steadfast commitment to apex design quality and production, I am ready to excel in providing outstanding services to your project. I really look forward to discuss the project requirements in detail. You can always find me on Email and Skype if you need. I am willing to work for 60 hours per week to make your project successful if you just hire me once. These types of Cover Letters are also known as the “Inquiry Letters” as they inquire about possible positions. This cover letter is sent to those particular companies that may be hiring workers but haven’t advertised job openings online. Well, this might sound tricky that why would someone write a cover letter for a post that he doesn’t even know about! But what you may not know yet that a well-written inquiry letter can help you to get noticed by an employer who may not be actively recruiting. Writing a Inquiry Cover Letter may be proven as a ‘Golden Ticket’ for you to get your resume in front of a hiring manager and possibly considered for employment even before a job is listed. So, read this Prospective / Inquiry Cover Letter Sample to understand how it works. I am thankful to you for taking the time to review my resume. I have recently graduated from University of…… ( Write Down your University Name but if you haven’t finished graduation yet, please skip this line) and I am currently looking for a position in the…. (Write down your preferred working area) area. I am interested in an entry level position with you company, The “Triple M Productions” (made up name, write down the name of your client’s company here). I always have heard that the “Triple M Productions” is a wonderful company to work for, and I hope that I can be considered for the team. If you have questions regarding my credentials or anything else about myself, please feel free to call or email me or to make a call via Skype. I’m always available in both sides. Again, I would like to thank you for reviewing my resume. I really look forward to hearing from you in the near future. This particular type of Cover Letter is that one which requests information and assistance in your job search. Doesn’t make sense? Okay, let’s be specific. You might find another cover letter which might simply bounce up your position or business as a networking letter. This single letter that makes vital communications, can pay dividends in future business dealings. As we all are aware of the fact that nnetworking is about relationship building, and one way to build relationships is through written communication, whether by letters or email. So it’s not unusual that successful business people use networking letters to develop an arsenal of business and personal connections that gradually helps them to grow their businesses or gain new employment. Sometimes, you might get referred for a position too by writing a networking cover letter. We live in a corporate world where everything depends on marketing and networking is marketing, whether for yourself or your business. So, needless to say, Networking Cover Letters have more importance than you might ever think of. Now, Let’s read a sample Networking Cover Letter and explore its format. I am writing this letter to express my interest in the International Sales position open at TripleM, Inc. I am very familiar with your products, and would welcome the opportunity to speak with you about how I could help increase your International presence. My colleague Mr. Zohan recommended that I should contact you directly about this position. Mr. Zohan and I have worked closely in the industry for many years, and he thought that I would be a good match for TripleM. My nine years of experienced marketing widgets, not only locally but also internationally have given me an overall knowledge of the business which is directly applicable to your interest in increasing sales abroad. In my previous position as ‘International Sales Representative’ with UB Industries, I successfully increased our revenue in each of my territories by over 40% within my first year. In the five years I spent at UB, I helped to establish sales bases in an additional seven countries, while I never failed continuing to increase revenue in all. Please take the time to review my resume as I firmly believe that I am an excellent candidate for the position you have advertised, and would very much like the opportunity to meet with you discuss what I have to offer TripleM Inc.
differences between a resume and a cover letter so that he can make sure he is writing a cover letter with the correct approach. Well, you should specify your resume but there are some certain things that you don’t need to include in the cover letters you write. Your cover letter should be about your qualifications for the job, not about you your personal life. It’s totally irrelevant to share any personal information about yourself or your family in it unless they want it. Even if you don’t have all the qualifications the employer is seeking it’s wise not to mention it but you can focus on the credentials you have that are a match. I strongly prohibit everyone to mention salary unless the company asks for your salary requirements. One should keep in mind that if he has got any question about the job, the salary, the schedule, or the benefits or whatever else; it’s really not appropriate to mention them in the letter. Another important thing that sometimes people forget is, not to write too much. You should make your letter focused, concise and elegant. It’s better to finish within a few paragraphs in length. Remember that, you should not convey more than enough information to entice the hiring manager to contact you for an interview because the most tragic part is, If you write too much, it’s probably not going to be read and all your efforts will go in vain and no one is going to say sorry for that! Who doesn’t love a crafty cover letter? Even if you don’t have all the requirements, but if your cover letter is easy to read, beautiful and precise, you might hit jackpot! Be aware of which job you’re applying for. That’s why you should include the job title in your opening paragraph. Do not forget to mention how you learned about the job. So please add a referral if you have one. Let your employers know fast and loud about what you have to offer to his company. Be also specific about why you want to work at this particular company. You should take your time to find out your skills to the job description, and read up on the organization’s mission, values and goals. And when you’re done doing that don’t forget to mention it in your letter. Thank your employer for being considered for the job. Show your gratitude towards him as every employer wants to hire a humble worker. Do not forget to edit and proof your cover letter before sending it. I know it might sound funny. One might say that, ” Hey, I’m not in school, I don’t make spelling mistakes! ” True. But it’s not about just the spelling mistakes, it’s about something big. It’s about making sure that you included the correct employer and company names. Specially when you are writing multiple cover letters at once, it is not impossible to make a silly mistake. Printing out and reading the letter aloud is a good way to catch small typing mistakes as this and other mistakes. By doing this, you can fill up missing words, or cut out the sentences that sound odd. Always double-check the spelling of your client’s name and the company name. Many experts suggest that you should enlist a friend or a family member, if possible, to help proofread your cover letter, as we all know that two pairs of eyes are better than one and even professional proofreaders don’t always catch their own mistakes. Basic fonts like Arial, Calibri, Georgia, Verdana, and Times New Roman work well. A font size of 10 or 12 points is easy to read. Standard margins are 1” on the top, bottom, and left and right sides of the page. A cover letter should begin with both your and the employer’s contact information like name, address, phone number and email which is generally followed by the date. But if you are writing an email formatted letter rather than an hard copied letter, please remember to include your contact information at the end of the letter, after your signature. You should review information on how to choose the right cover letter greeting to select one that works for the job and company you’re applying to. Many of the new workers mix up between Salutation and the Introduction. But these two things are not the same at all. You should begin your introduction by stating with what job you are applying for. As I have mentioned earlier, never forget to mention where you heard about the job, particularly if you heard about it from a contact associated with the company. You should also briefly mention how your skills and experience match the company or the position; this will give your employer a preview of the rest of your letter. Your one and only goal in the introduction is to get the reader’s attention and nothing more or less. Here in the Body, you should be concentrated on explaining why you are interested in the job and why you make an excellent candidate for the position but not in more than two paragraphs, one is better. You should mention specific qualifications listed in the job posting, and you should explain how you meet those qualifications better than others. Do not just simply copy and paste your resume, but think about providing specific examples that demonstrate your abilities. Remember, actions speak louder than words, so don’t just “tell” the reader that you are the best one for this job, No. But you should use effective examples from your work experience to “show” these traits in action. In the closing section of your cover letter, show your employer again about how your skills make you a strong fit for the company or for the position. If you have room, you may also discuss why you would like to work at their company or project. State that you would like to have the opportunity to interview or discuss employment opportunities with him/ her. 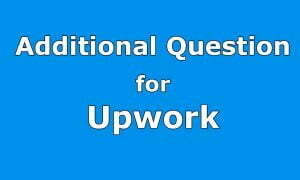 Explain your employer about what you are willing do to follow-up and also explain when you are willing do it. And in the end, Thank your employer for his/her consideration. If you’re writing a cover letter, you always should use a complimentary close, and then end your cover letter with your signature, handwritten, followed by your typed name. But If you are writing an email, simply include your typed name, followed by your contact information, after the complimentary close. Well, That was all you needed to know about writing your own killer Cover Letter. Always remember that well-written cover letter will help you to get your application noticed and it will surely help you to secure an interview. So take all the time you need to personalize it so that it shows the employer why you’re a solid candidate for the job. Now, stop copy-pasting other people’s cover letters and follow our Simple but Effective Five steps to write your own Cover Letters. Very much informative. I Have never seen such a informative post before. Thank you very very much.